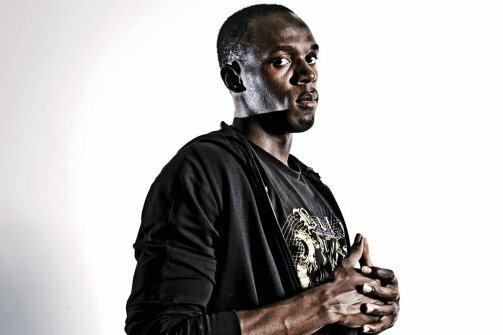 Usain Bolt: A Latter-day Hermes? Jamaica’s Usain Bolt: Is He Still the World’s Fastest Runner? Will lightning strike again in London? Or have the years of fast living finally caught up with the speediest man alive? A close look at the Jamaican record breaker. The Twitter messages seemed calculated to drive Jamaica frantic. “Driving the black speed today,” Usain Bolt informed his followers as he posted an Instagram image of his chosen vehicle for the day, a 2009 Nissan GT-R. “Nothing but speed for the fastest,” he added. Still, the world-record sprinter could scarcely ignore the fact that the last thing they want is for him to risk yet another smashup in the final days before the 2012 London Games. “I will take it easy lol,” he promised. Congratulations on your Newsweek publication! Wonderful. No, please, no more smashups!! Noted the tweet about being “bored out of my mind” … really bredrin?!!!? … days before the Games of your life? … full hundred please UB! Hi Annie, I just re-blogged this. I’m trying to do a few “Olympic posts” although I am not exactly an expert on athletics…. Next Next post: Justice for Keith Clarke?